Unemployment is at an all-time low and the labor pool—particularly for patient-facing professionals and staff—is shallow and draining rapidly. According to the Bureau of Labor Statistics, the official unemployment rate for what the agency defines as the “Health Care and Social Assistance” sector is hovering at 2.6 percent. But that data doesn’t account for the many other positions within the industry that aren’t on the frontlines of patient care or those that are newly evolving, such as jobs within telemedicine. The retirement wave is exacerbating the situation as data shows that as many as 22.1 percent expect to retire within five years. Integrating RPO (Recruitment Process Outsourcing) or RPO hybrid models into an overall talent strategy is essential in today’s environment. Outsourced or internal shared service recruitment solutions provide the necessary hiring support structure to select and hire the talent healthcare organizations need to execute their strategy and succeed in this time of constant and massive change. 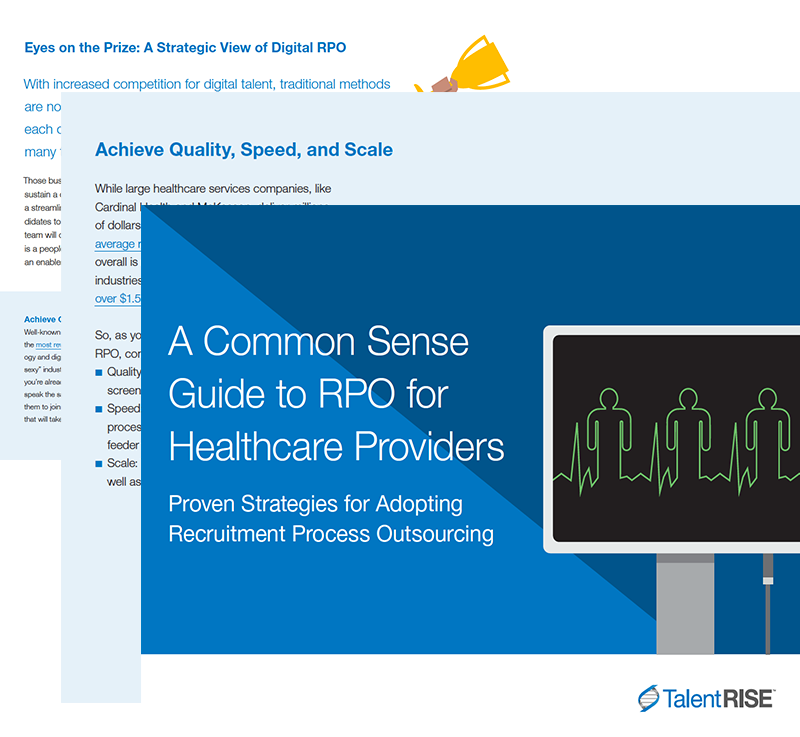 Download the eBook to understand how RPO works and why it might be the best option for recruiting top talent to your healthcare institution.